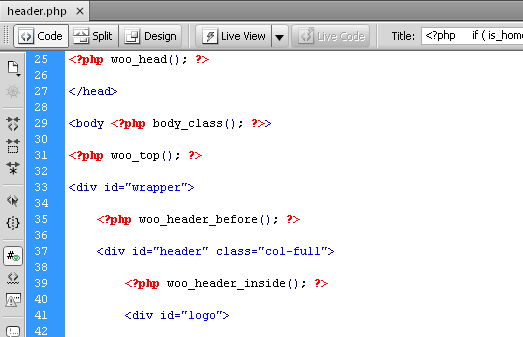 Written by Magnus Jepson on June 4, 2012 Magazine / News, Personal Blog, Tumblog, WooCommerce. 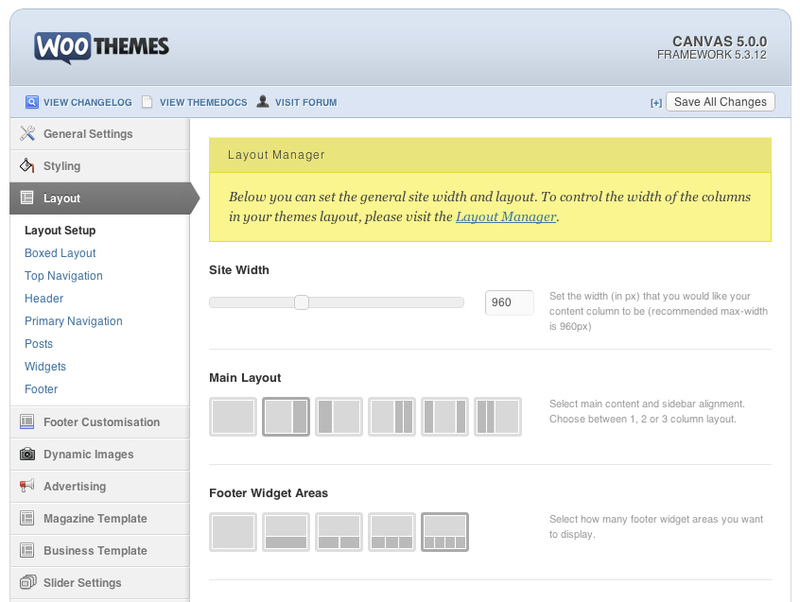 Canvas will let you customize the style and typography of every element in the design. 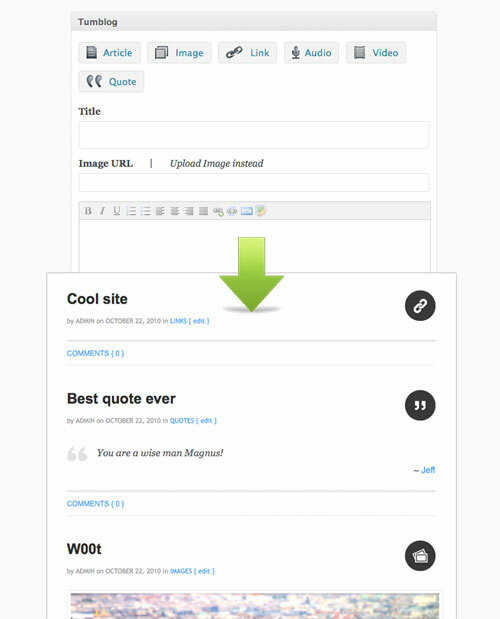 Packed with 100+ options, it allows you to make your blog look exactly like you want! 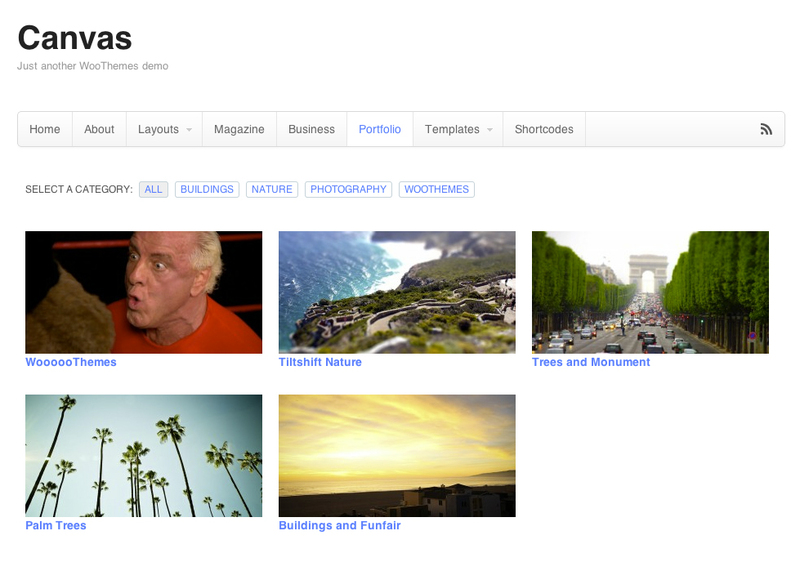 The options panel lets you upload your own images for use as main background image and header background image. It’s never been this easy! 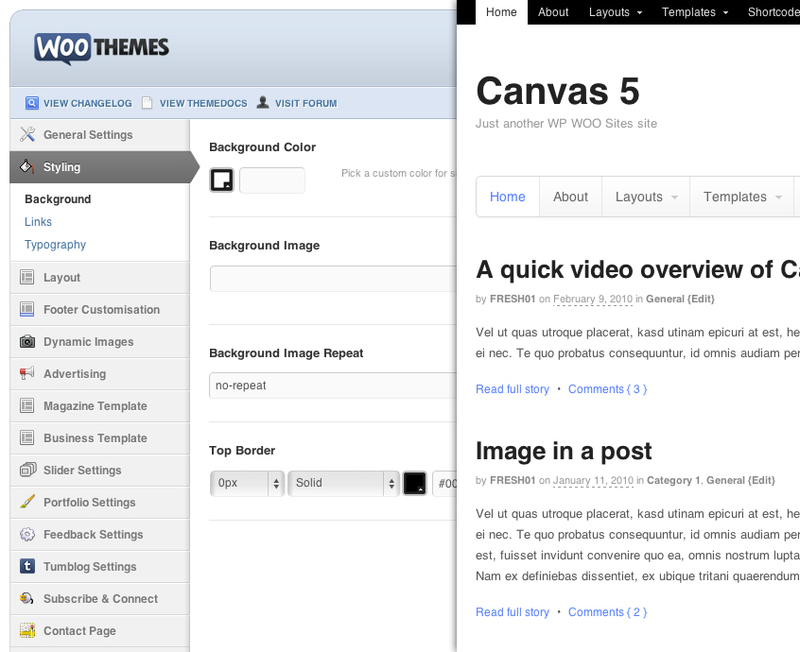 Canvas lets you easily change your site width from 600px to 2000px, and also gives you the ability to change the layout of your columns through the Layout Manager. You can also choose between 6 different layouts for and order of content/sidebars (full width, 2 col left, 2 col right, 3 col left, 3 col middle, 3 col right). 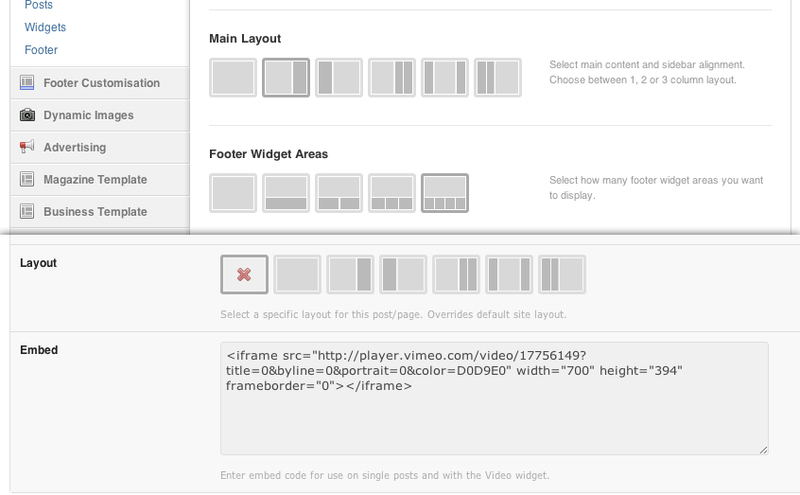 Canvas also lets you specify individual layouts per post or page! 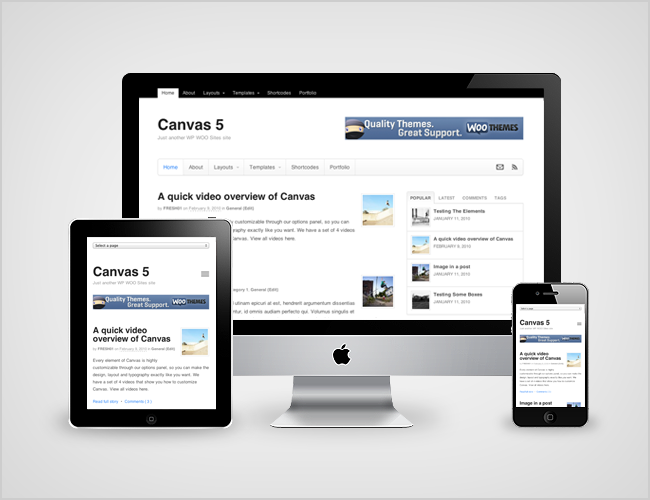 Canvas comes with a portfolio custom post type where you can showcase your latest projects, designs, or even product images. A dedicated page template showcases your portfolio with a category sorter and lightbox pop-up functionality for ease-of-use. 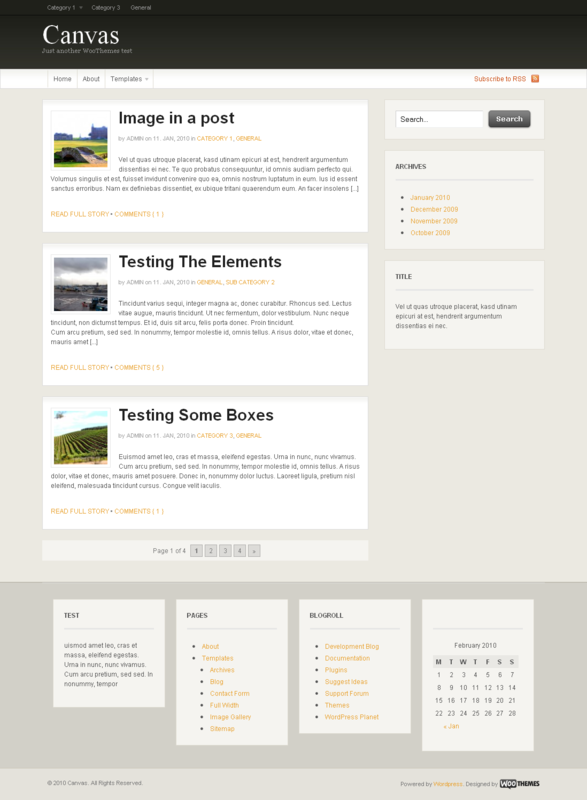 Tumblog functionality with iPhone App publishing! NEW! 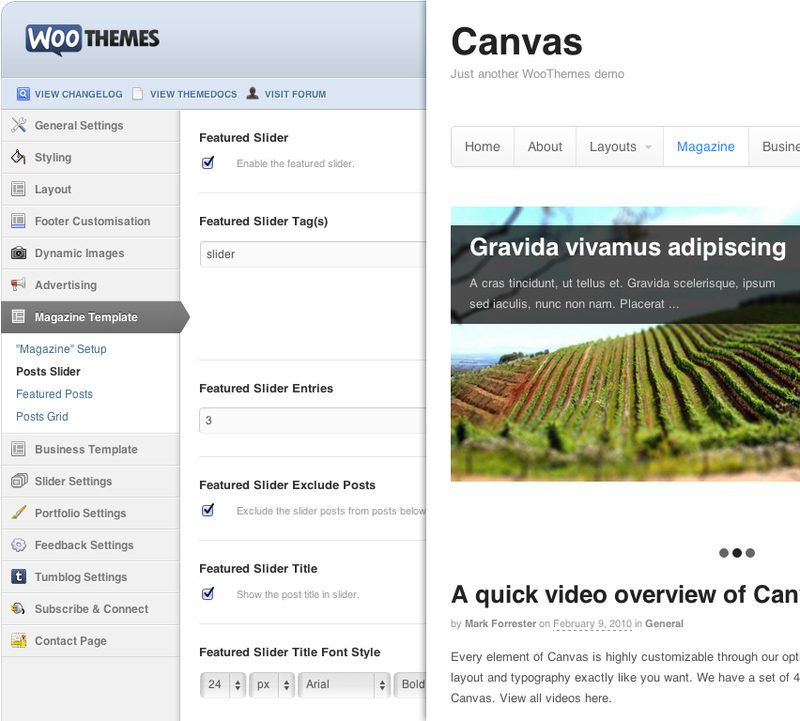 Canvas now supports WooTumblog functionality so it can function like a Tumblr theme, and you can use our new Express iPhone App to publish to your Canvas powered blog! 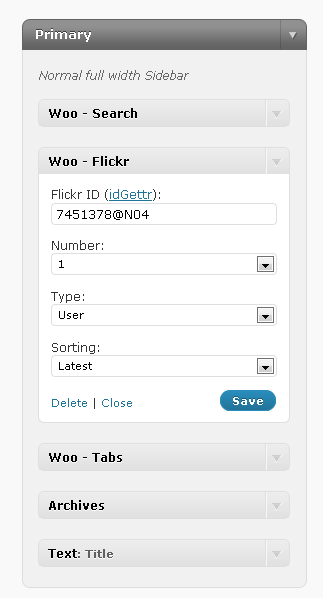 The theme has 2 widgetized areas in sidebar and 4 widgetized areas in the footer (optional), and also some extra Woo custom widgets (Woo Tabs, Flickr, Twitter, Adspace, Search). 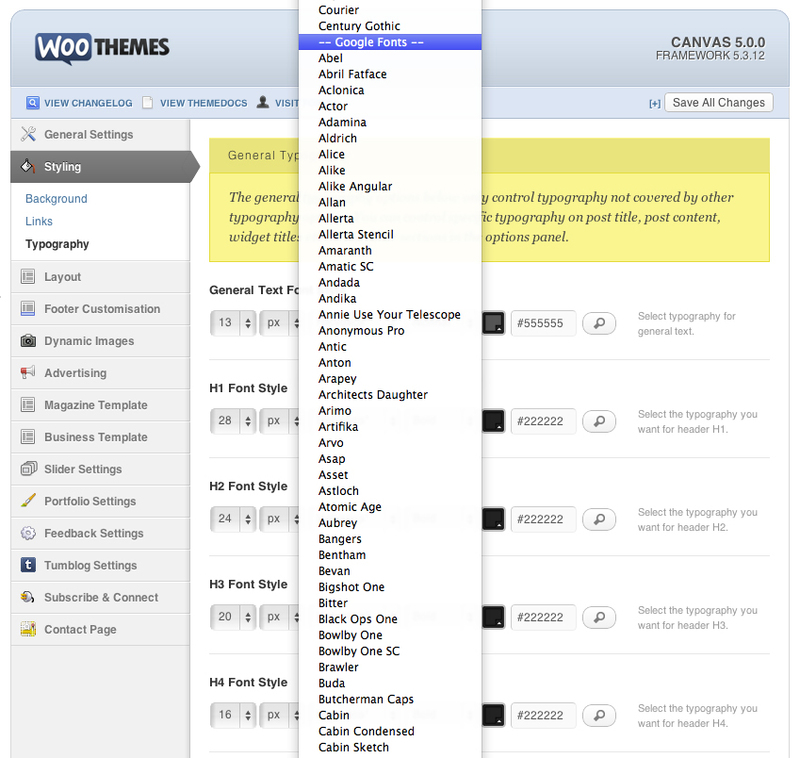 Canvas is the first theme from WooThemes that has made use of custom hooks, which makes it a lot easier to customize the theme via a child theme without touching any code in the main parent theme. 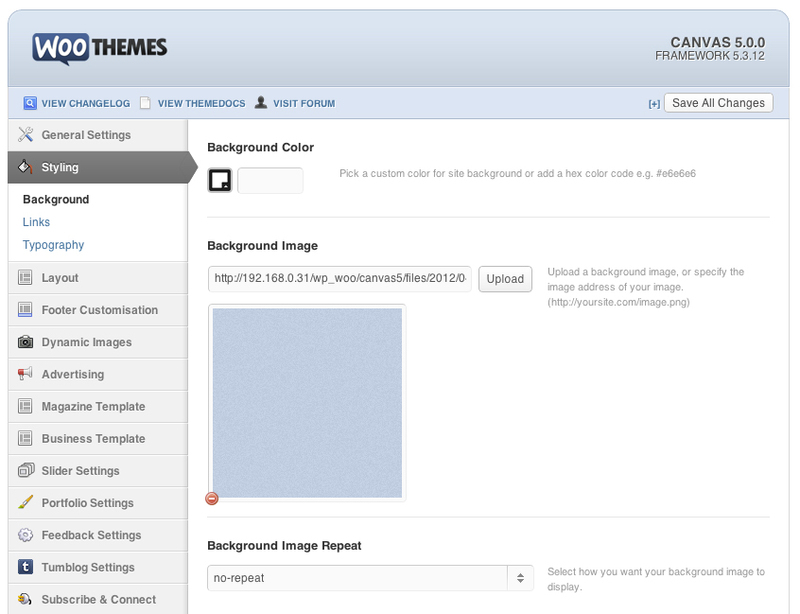 Download our sample child theme Fresh Canvas to get started.